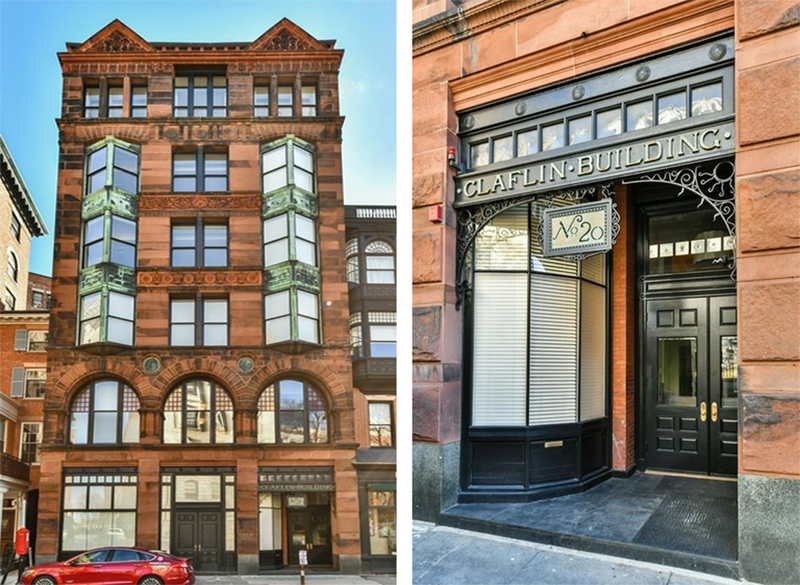 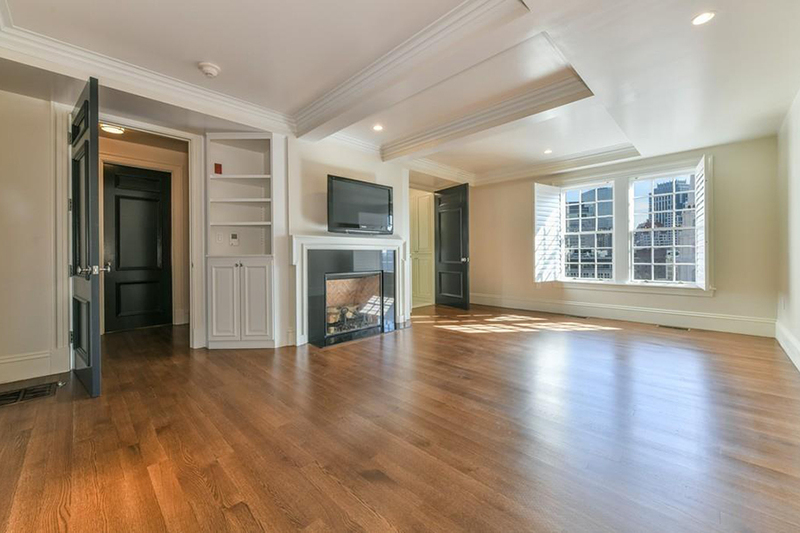 Just a few doors down from the Boston Athenaeum, Beacon Street’s historical Claflin Building conceals five ultra-luxe residences. 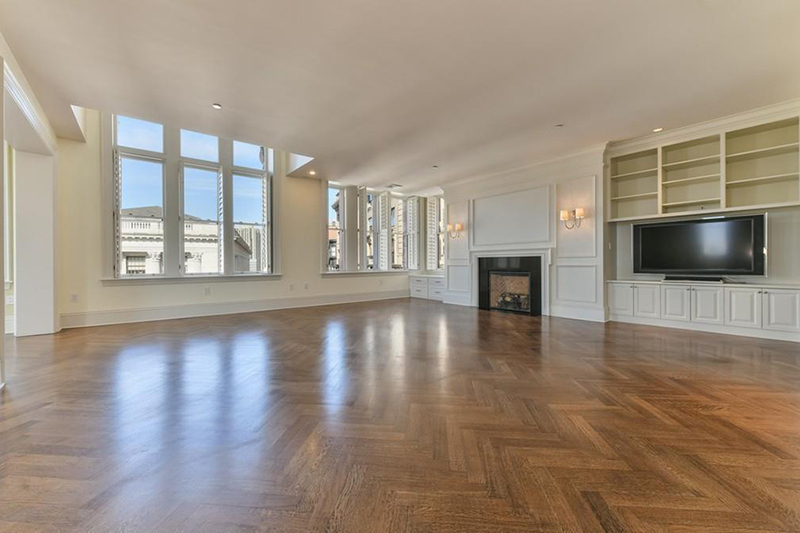 The landmark’s stunning three-bedroom penthouse just hit the market, and is listed for a cool $5.9 million. 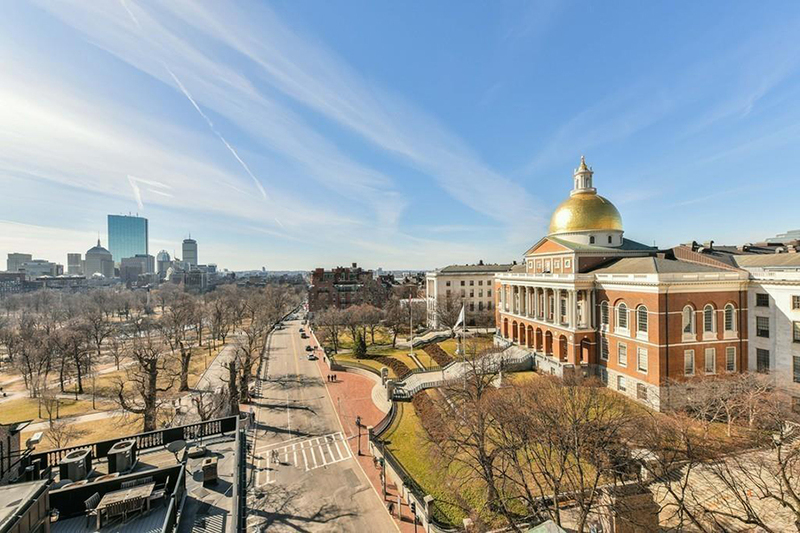 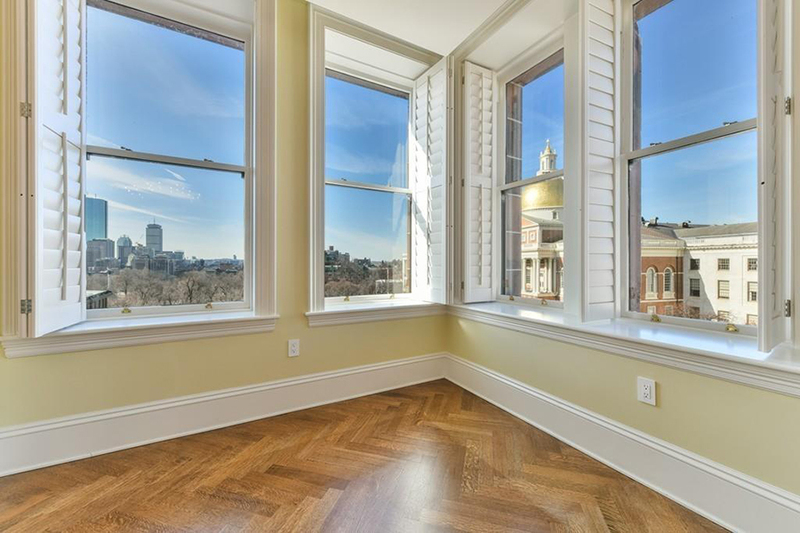 This palatial pad overlooks the State House’s golden dome, its windows framing a panorama that extends to the Common and the Back Bay skyline. 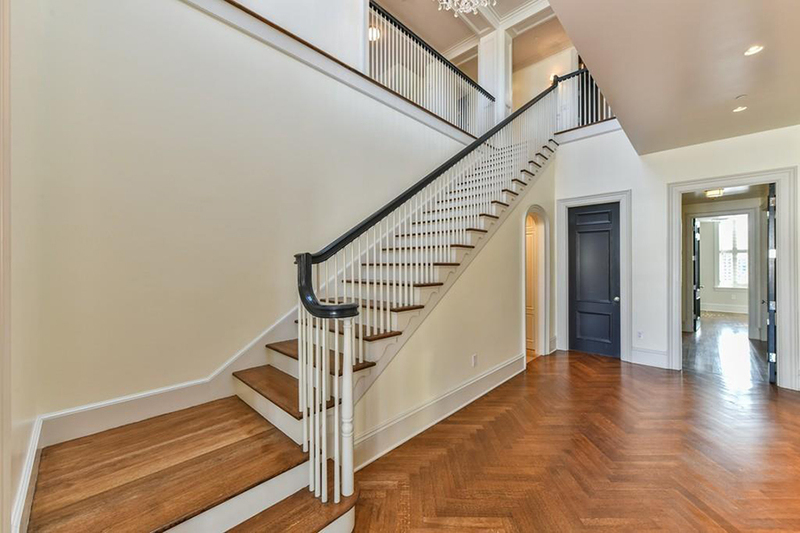 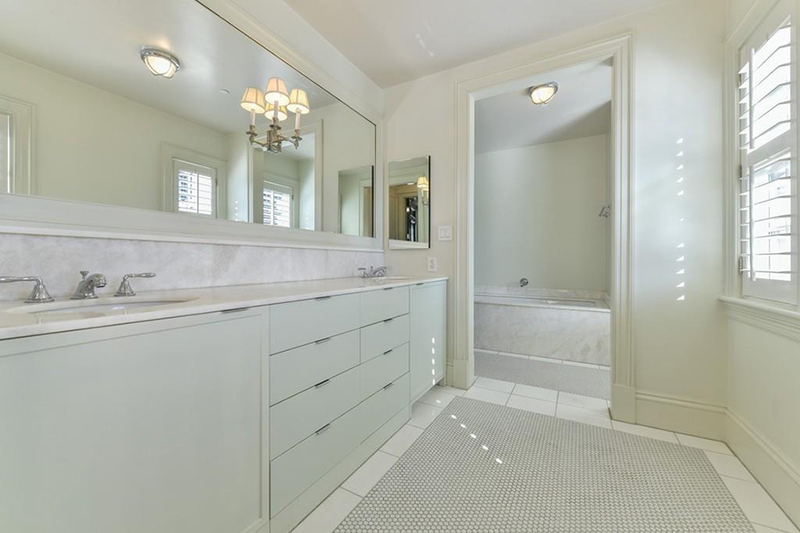 Inside, a grand entry foyer with 20-foot ceilings opens to even grander living and dining rooms. 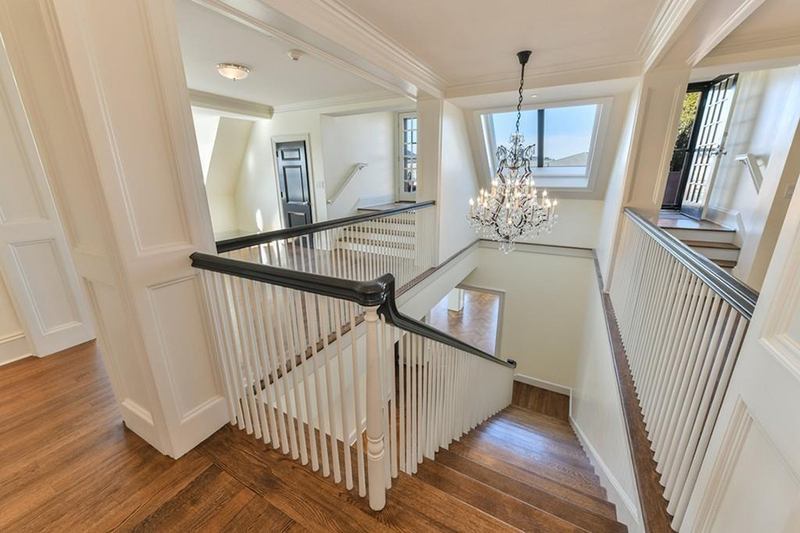 They’re brightened by double-height windows—and one sparkling chandelier. 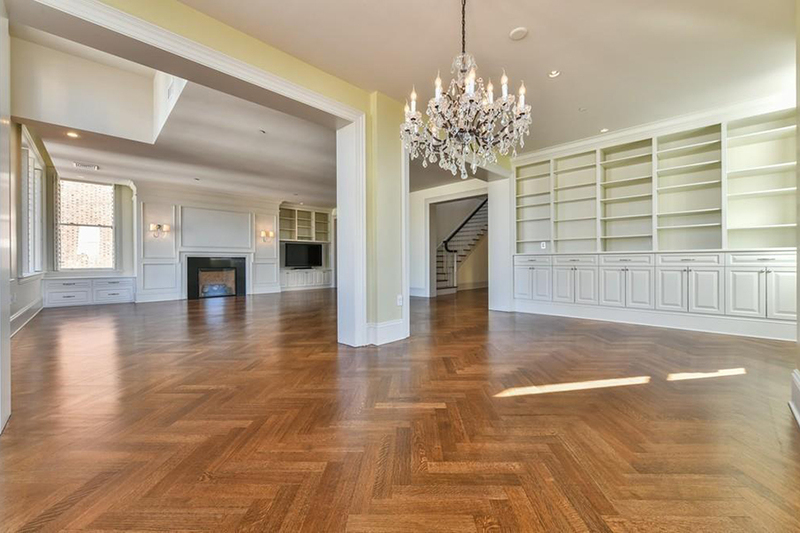 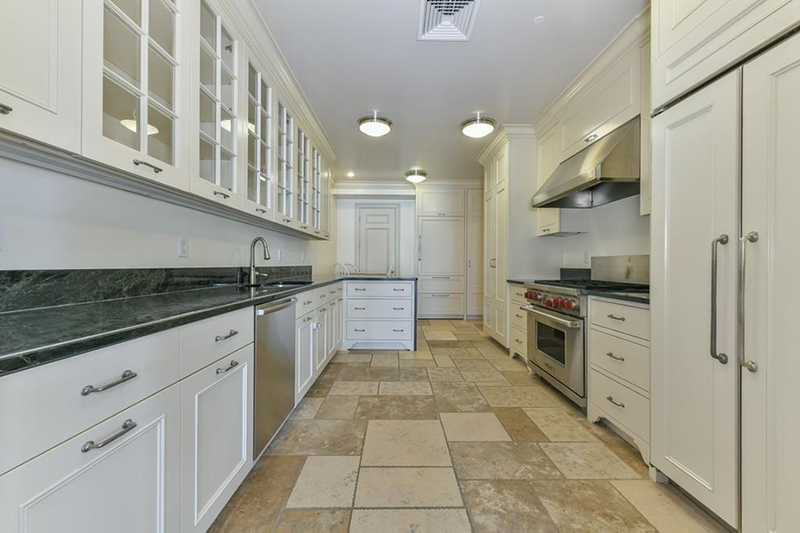 Beyond the main living area, there’s an eat-in chef’s kitchen, as well as details like elegant millwork, multiple fireplaces, and custom built-ins. 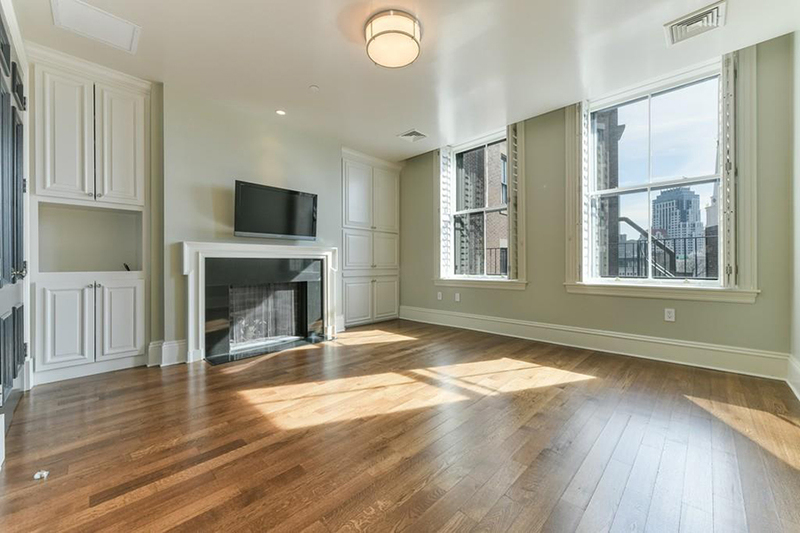 The home counts three bedroom suites, plus powder and laundry rooms on each floor. 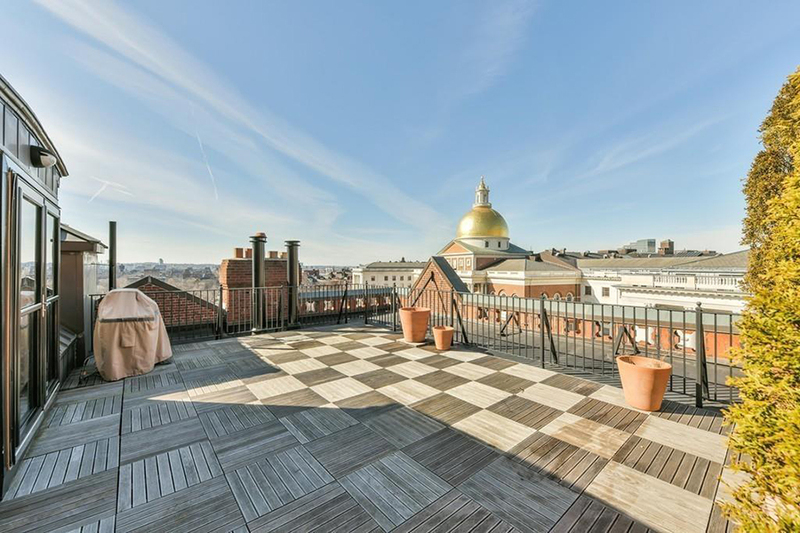 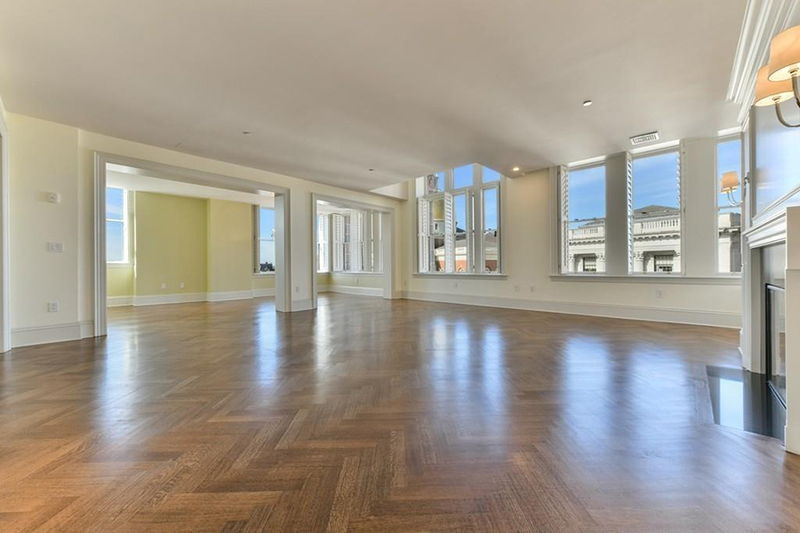 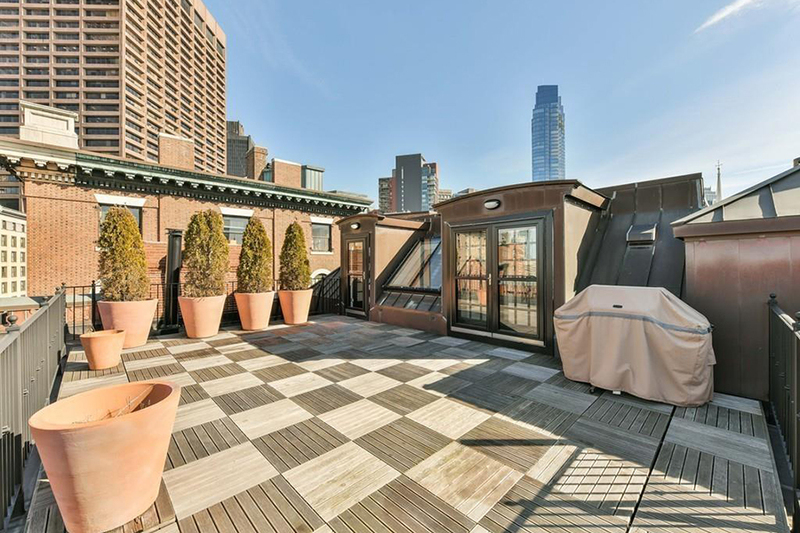 It’s topped off with a dreamy private roof deck, offering a front-row seat to the goings-on of Beacon Hill.